"Wait a minute, isn't it the other way round?" My answer: "Does it matter?" The bottom line is that something is not adding up. And in any case, I think you're more likely to meet the sort of person this post is dedicated to. 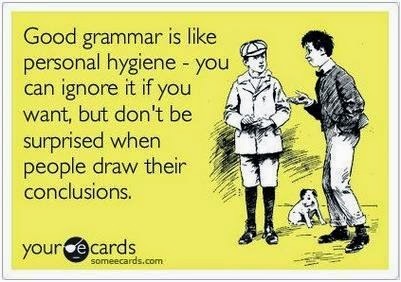 Now, I'm sure if you read through my posts, you can pinpoint some grammatical errors. Hopefully, they are not the sort of errors that make you bang your head on the wall, while wailing mournfully, "Why me?" over and over again. But, I do notice obvious grammar mistakes, which I find appalling, especially from people who actually speak what I consider "good English." You know, the kind that doesn't make you break out in hives and ask for your Mummy! For the record, I have observed this in Nigerians and Non-Nigerians alike. Are you a Patience in this hospital? Are you a patient in this hospital? But this one is even good. I have seen people misspell their own names (true story, no jokes), addresses, and even misspell words they asked me to spell for them, even though I spelled it out r-e-a-l-l-y slowly. There's a disconnect somewhere. The question is, "Does this person know or even care?" I think the problem is that some people write the way they speak, which is okay in certain contexts (text messages, informal settings, etc). But for job applications, and other formal settings where these things really matter, it could mean the difference between a pass and a fail. 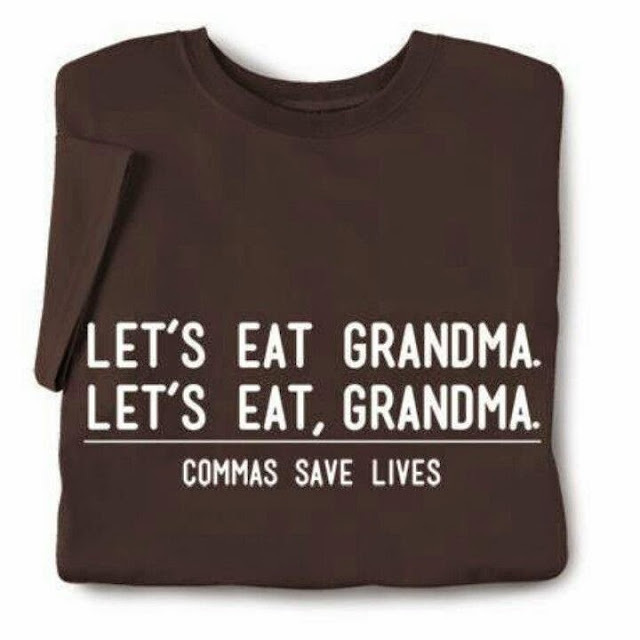 Grammar rules are more important in your writing than in your speech. Why? Because you can get away with mis-pronunciation or maybe even fake your way through pronouncing a word properly, but spelling? You can't fake it. No, you can't even run away from it. Even your computer will put a red line under misspelled words and ask you, "Mister Man, what do you think you're doing? Fix this immediately!" And don't even get me started on Facebook and all the shellers that congregate there, daily unleashing their bad grammar on unsuspecting readers ... Lawd! If you read some of these errors ehn, fear go catch you! In fact, a cold chill will run down your spine, and the room will spin and you'll feel dizzy ... Just because of bad grammar. Chai! Twitter, nko? I won't go there. No. I'll stay in my lane. Or maybe I should just let the t-shirt speak for itself. And all the grandmas said: "Amen!" 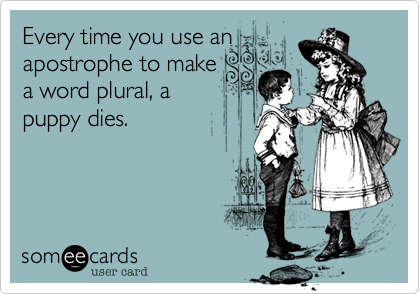 What horrible grammar mistakes have you encountered? Written or Spoken? Share, share, share away! What about 'your' instead of 'you are'? The list is endless. Practice makes perfect. If we use the excuse of informal writing, texting or the limits of 140 characters not to practice writing properly, we forget. Okeoghene: Yes! That one irritates me too! And what you've said is true: practice makes perfect. If you practice the wrong thing, it becomes second nature to you.